Naive young Archer Newland falls for a disgraced countess, the cousin of his fiancée. This 1920’s novel starts with the innocent Archer Newland happily involved in his theories of marriage. He’s a well connected and well-to-do bachelor at the prime of his life in a New York that loves white men. Archer has everything. The opera where Archer announces his engagement to the beautiful young May should have been his triumph. But although he’s only aware of a disquieting feeling, it foreshadows his misery. Archer is exquisitely aware of all social customs and becomes the family’s advisor for helping the Countess, Ellen Olenska. Poor Ellen is a bit of a fallen woman – raised by eccentric parents who allow her to wear black at her coming out and to marry a foreign count. After her escape from this abusive relationship, she returns to America as something damaged yet grown larger because of it. She is an enigmatic and seductive creature who no longer fits into the acceptable box for a woman. Equally pitied and blamed for her downfall, she ends up unwittingly destroying Archer’s happy ignorance. Archer is obviously intelligent and cultured, but he holds society’s rules as a sort of happy religion. Without even trying, Ellen reveals every foible and hypocrisy. The things he held so dear he is forced to see clearly. He grows beyond their confines and falls in love with Ellen. She’s something passionate and genuine in a world of artifice. But then there’s her cousin May, the young girl he is engaged to. He has always pictured May as a blank canvas he intended to paint. The irony is that May’s sweet nature may be indifferent to his attempts to form her. Watching Archer struggle is like trying to remove superglue from your fingers. It is ultimately futile – you might get one finger free but then you’ll get it stuck to something else. 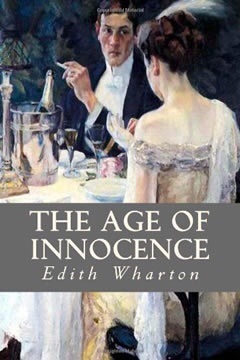 I get the feeling that Edith Wharton was enjoying Archer’s innocence even as she used it to torture him. The ending could be argued to be Archer’s peace with the world, his acceptance and maturity. Or is it merely showing us that Archer has been and always will be a coward? A gorgeously written tale of loss, corruption and mercy in the English countryside. This is a beautifully written book that manages to show so many distinct and complementary levels, like an English trifle. I immediately fell in love with the narrator and his summer-drenched memories. Charles Ryder is visiting Brideshead again — now as a commander in the second world war — and recollecting his intense association with the Flyte family who lived there. A promising artist, Charles begins as an uncorrupted youth who might have followed dull but cheerful Wilkins’ into a reputable profession. Instead he is befriended by the wealthy teddy bear carrying Sebastian Flyte and his entire life is swept up into a sort of narrator for the Flyte family’s drama. The main theme is the destructive relationship between Charles, Sebastian and Julia. The beauty of the book is in the vagueness. Charles obviously loves Sebastian, but is it more than as a friend? When he later loves Julia, is it only as a socially acceptable proxy who resembles Sebastian? But so many other things come to light – the troubled relationship with family, the effect of wealth without responsibility, the role of religion, the impact of adoration – the list goes on and on. There are endless questions in this book, endless ways to interpret and explore the impact of even minor characters like the little sister Cordelia. My sympathy was with Charles at first, but he willfully ignores both logic and his own conscience. I felt that he ought to have known better, although we could argue his basically absentee father and dead mother do not adequately prepare him for standing up to the Flytes. The charming Sebastian is the true tragedy and somehow more of a symbol than a real person. We are always forced to guess at his feelings and motives. He has so much potential, all wasted (or is it?) He uses alcohol and travel as a means of escaping himself. He is tortured by his love of being a young, self-indulgent and charming upper class heir against an enormous Roman Catholic pressure to be a saint and possibly a guilt of not having earned any of it himself. While no one has a happy ending, perhaps each of the characters ends up in the place their actions have been leading them? Jane Austen’s characters are confronted with murder in this dry Regency mystery. 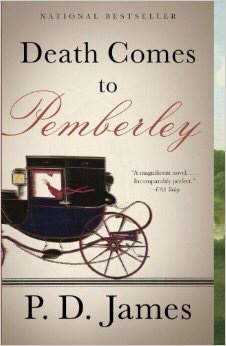 A murder occurs when Elizabeth and Fitzwilliam Darcy’s despised brother-in-law Wickham shows up uninvited. This wasn’t my favourite mystery and I found it difficult to connect with Elizabeth — perhaps as the author herself notes, it is too great a challenge to mimic Ms. Austen’s classic book. The book goes into excellent and highly readable detail of the era much like an Anne Perry book. It becomes easy to imagine life in the Regency era and fall into the household. The plot of the two suitors for Mr. Darcy’s sister Georgianna is highly interesting, I found myself wanting to know more about them. But Georgianna herself is not explored enough and the book reads more like a romance than a mystery. There is some question as to who killed Wickham’s friend Captain Denny, but despite some promising hints, it really becomes apparent that only one character could’ve done it. The motive remains unlikely and complicated. I expect mysteries to give the reader a fair chance of guessing, but in my opinion it was difficult to guess even with the sprinkling of clues. One amusing tangent is that the book also gets into Ms. Austen’s various books. You get to see annoying characters punished and favourites given a brief mention. Recommended if you love Jane Austen or Regency era books. An exquisitely constructed post-war mystery that keeps you guessing. 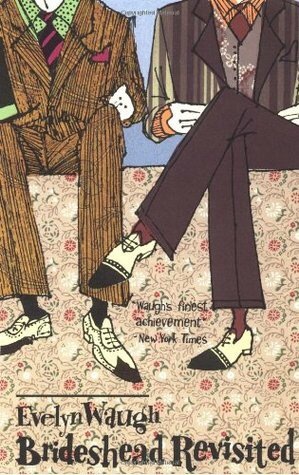 Another classic and delightful Allingham book. Instead of her usual detective it is narrated by the very charming young Frances. She’s desperately trying to tell her regal grandmother that the family gallery is going off the rails fast. The chapter culminates with a dramatic scene featuring a slashed painting and a seemingly simple argument that will descend into murder. Why is Frances’ brother-in-law so furious when she turns down his friend, an unctuous and slimy little man? Why is her half-sister such a miserable, terrified wreck? When a murder occurs, they all know someone in the house is a killer. Despite the police presence no one feels safe, perhaps because the police are there as much to arrest as to protect. There are a veritable feast of suspects and Frances is hard pressed to keep her cool. Could it be her own hysterical half-sister, the victim’s unhappy wife? Or perhaps Frances’ new fiancé, the artist whose painting was slashed and who wants to marry immediately so they can’t testify against each other? Even her beloved and regal grandmother, whose mind slides in and out of focus, could be using her age as a clever cover. A brilliant mystery – how does a man with amnesia unmask a national conspiracy? I fell in love with Albert Campion on the TV series, but years ago I really disliked The Affair at Black Dudley (the first Campion). I don’t know if it was just bad book timing, but after reading Traitor’s Purse I feel I have been missing out! This is one of her finest books according to many and I can see why. The book plunges straight into the plot – a man wakes up in a hospital, overhears that he’s killed a policeman and will hang for it. He makes a dash for it, physically and emotionally weak, all the while desperate to remember what conspiracy he was about to unmask. His only clue is the number 15. And if that plot weren’t enough, the writing is beautiful. Campion struggles to fake his way through situations, wondering if each person he meets is the shadowy villain. We see his newly discovered love for a woman he’s already lost and his haunting terror that he will not be in time to prevent a national tragedy. Swinging wildly between a creature of primitive emotions and an uppercrust man of intelligence and manners, we can’t help but wonder which is the real Campion? Will the two halves of his fractured mind meet in time to save England? I was fortunate enough to get a version by The Folio Society, a London publisher who republishes old classics in utterly gorgeous bindings and with stunning illustrations. Anyone who loves books should own at least one folio edition. Amazing classic British mystery, elegant and well-written, engrossing characters. I opened this book yesterday afternoon intending to read a chapter but it was well past my bedtime when I put it down. The first sentence was a tad long but by the second paragraph I was hooked – the protagonist Evelyn has just run into Dorothy, a woman he hasn’t seen for sixteen years. Their last meeting was when she refused his marriage proposal. But this is not a romantic story. It is a deeply intriguing look into the dark corners of a not fully formed human mind. What is driving Dorothy’s estranged son Crispin to get kicked out of every school and refuse every tutor? Is it something to do with the death of his father on a dig in Greece? Writing the book is not the end state. Going from concept to draft is really only the halfway point. It takes a daunting amount of hard work and skills to get published. Genre/Audience. I touched briefly on the need to have genre-specific readers give you feedback. But how do you know what genre you’re in? Genre is your best friend and a little bit frenemy. A genre like cozy crime books helps you target a specific audience of readers. You can look at what people are reading and why, you can emulate their pitches and reach out to their fans. Imagine trying to sell a sports car to a family of 5. Knowing you have a sports car and what sports car fans love gives you a lot to focus on. And even if you have what seems like a broad genre, the book The Fine Print of Self-Publishing is an excellent resource on pitfalls to avoid. Self-Publish, Crowdfund or Agent. So many options. Self-publishing is great if you like control, want to publish quickly and don’t mind if the book doesn’t make it to many physical stores. It has a stigma because there’s zero quality control. Crowdfunding is now an option thanks to Inkshares and Unbound – you still have to hustle for readers but they help with things like editing and distribution and you have proof people wanted your book. And finally the agent. The gatekeeper to the big publishing houses, agents can make sure your book gets past the slush pile (mileage may vary.) If you want a smash hit, the agent is far more likely to get you there than the other options. Pitch. No matter how you go, you’ll need to craft a compelling tagline (1 sentence) that describes your book, like Twilight meets Star Trek or heartbroken animal trainer is Earth’s last hope for survival. Then you need a pitch, 2-4 paragraphs succinctly describing your book, who would like it and why. You don’t describe every character like someone’s third cousin Lizzie or that gas station attendant. Proposal. As if writing your book once was not enough work, many agents and publishers require a proposal with an outline of your book and the market possibilities. The outline is 1 page of the essential events, so they can see that your book is structured well and doesn’t have major plot holes. The proposal includes a lot. It’s a good idea to do this even if self-publishing, so you can get an idea of where to market your book (more on that later). Cover Letter. Even on a crowdfunding site, you need to convince people why they should buy a book from you. A short, professional letter with your basic details and any special qualifications you have. Being a hard worker does not qualify you, sadly. Reading a ton of books also does not qualify you. Having a degree in mathematics when writing a kids book on learning math is worth calling out. Publisher. Still with me? Great. Now you need to identify which agent or publisher or self-publishing or crowdfunding option is right for you. The vast majority of publishers do not accept unsolicited manuscripts – they are often barely making ends meet and cannot meet the demand of writers seeking a publisher. The few that do must be hunted out and located through lots of research. Agents can get your work through the front door and help make sure you get a good contract, but you have to research to find a great agent. Crowdfunding gets your book idea out there quickly, but you have to do almost all the work of hustling readers, convincing people to buy the book and generally being shameless (see the marketing post). Self-publishing lets you do a whole bunch of other fun stuff before you get to the point of having to hustle, but that hustle is still waiting for you. Developmental Editing. Developmental editing is when someone looks at your work to figure out plot holes, places you could strengthen the story, gaps, character behaviours that don’t match their psychology, all sorts of big picture things. A publisher pays for this, but for self-publishing you have to pay. Copyediting. There are types of editing?! Yikes – just like there are so many vaccines, you can’t just get one kind and be done with it. The copy editor helps improve your writing so that it follows good conventions, called style guides. They make your writing more readable and help improve flow. Cover. This is the fun part, right? It is, but it is also the difference between getting into a best seller’s list and selling a few copies to friends. In general, homemade covers tend to be easily spotted and people believe they reflect the quality of the writing. Homemade covers don’t look polished and compelling like a professional cover, because unless you are also a graphic designer, you don’t have the experience and training to make something that resonates aesthetically. If you need to do it yourself for budget reasons, start with these tips. If you’re looking to hire someone, start here. Fonts. Have you ever looked at a book cover and just felt that something was off? Something didn’t seem quite done somehow? Fonts make a huge difference. Each font can convey a very different atmosphere for your book, just like the creepy, sad or uplifting music can make a movie scene powerful. Scarlett Rugers has a great guide to fonts for the self-published. Layout. I was reading the other day that a single line in a book should be 8-10 words long. A paragraph that looks okay in your word processor might be way too long once the book is printed. The margins for the pages need to be much bigger on the inside of the book because of the room needed to open the book. Even if a publisher handles this for you, you should be aware of how long this process takes. For a self-publishing author, there are some templates but it’s not a foolproof process. Proofreading. Wait, wait… how many kinds of editing are there?! I think this might be the last one. Proofreading is typically done on a physical proof copy. Someone who is not the first two editors will go through your book with a fine tooth comb and look for any typos, spelling errors, incorrect formatting, etc. They aren’t reading for quality or enjoyment, but solely to help make you look as good as you can. Okay, now you’re done, right? No, no … sadly, we’re not done. Your book may be published, but if you want to actually sell copies you have some marketing to do. As an aspiring author who has finished several books but not published them, I’ve been struggling with the Great Debate over traditional publishing and self-publishing. But regardless of which route you take, I was dismayed to find that the author still has an enormous burden after they write a book. This post is helping me work through my process and how I decide on publishing and marketing my book. As the first post, I’m covering what’s involved in getting a book from concept to published work. Idea. Contrary to what you might think, great ideas are everywhere. This is the easy part, even though coming up with the next killer idea can feel daunting. Research. Even if you write by the seat of your pants, you probably do some research. Whether you read tons of books in the genre because you love it, or pull together a comprehensive roadmap for how the plot progresses, this is important. The more work you do at this stage means that it will be easier to keep writing. Writing. You and a pen. Or a keyboard. For hours. Oh, the hours. Every established writer says essentially the same thing – you have to just sit and write even if you don’t feel like it. A fantastic suggestion I saw was to figure out what time of day you are most productive and keep doing it then. For me that is early in the morning with a cup of tea. For you it might the wee hours of the night after all distractions are gone, or lunchtime. Revising. You did it! You made it to the end! From here you could just publish the book and move on. But then you realize if you want to turn your good book into an AMAZING book, you need to rewrite it. More than once. My trick is to start a new file while feeling free to liberally copy from the original. It should feel like a new book with hints of the old one. Feedback. A book is a labour of love and you’re putting a piece of your heart out into the world to get shot down. This is really painful. Most of us think we’re open to honest feedback but the truth is it stings. I don’t have any suggestions for mending the hole in your heart, but I can recommend that you find readers who are interested in your genre. I’m writing a 1920’s cozy crime mystery, so I need readers who love Agatha Christie, Jacqueline Winspear or L.B. Hathaway. If I had a Sci Fi reader give me feedback, they’re going to hate a lot of the qualities that make my book great for my genre. Once you’ve done all these things, you’ve got a solid draft! This is excellent news. You’re halfway to publishing! It is sadly true that all of this work only brings you to the halfway point. A feisty sleuth digs into a wartime disappearance for a woman she hated. This is my 4th Posie Parker (a feisty private detective in the 1920’s). L.B. Hathaway has very readable books that are easy to get through in a few hours. Posie is a consistently developed character. The premise is fantastic – this one about a doctor presumed dead in the war who is later spotted in Oxford. Having the person who hires Posie turn out to be someone she hated and who also hated her was an excellent twist. I enjoyed the puzzle and the clues, although I was very surprised to hear for the first time that Posie has a brother who was never mentioned in the previous 3 books. The plot line of the missing doctor happened to help her connect with her dead brother. The romantic angle is promising, I don’t know how it continues to grow despite the fact that we almost never see Posie and Alaric together. In the brief glimpses he maintains his allure – gorgeous, good-hearted and always somewhere else. I was surprised by the addition of a real ghost but it fit into the motif of the book (ghosts of the war). I greatly admire L.B. Hathaway and look forward to the next book! The previous books are Murder Offstage, The Tomb of the Honeybee and Murder at Maypole Manor. A cozy crime mingles with espionage in a classic isolated mansion. I’ve been following Posie Parker (a feisty private detective in the 1920’s) along her adventures with pleasure, in Murder Offstage and The Tomb of the Honey Bee. Posie continues to be a consistent, well-vocalized character who pines for her adventurous lover. But luckily for us that doesn’t stop her also looking for bad guys and generally being feisty. This was one of my favourite settings, the classic mansion in a snow storm with exotic characters and at least one person who is lying in a way that cannot be verified while they’re cut off from everything. The characters were distinct enough to follow – film stars, artists, peers, agents and even a clairvoyant. I enjoyed the puzzle and the various clues – there are a lot of elements for you to solve and consider in this book! The storyline with Posie’s insane, obsessive and immensely rich criminal stalker was the least intriguing piece for me. As an arch-nemesis he provides a foil for Posie, but I’m not a huge fan of the one that wants to marry her and finds her so irresistible that he won’t let go. This continues to be a very enjoyable series!